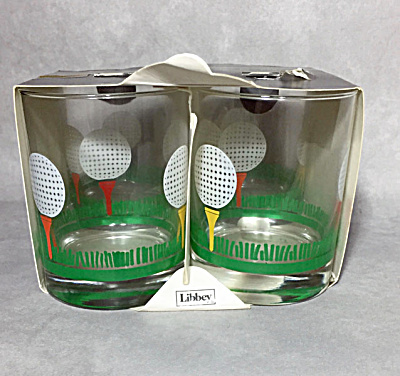 This set of Libbey double old fashioned glasses is in its original packaging. It includes its patent numbers: 4,735,314, 4,875,585 and 4,890,737 as well as a Canada Patent 1989 1,253,464. The design of the package is pretty underwhelming as opposed to the great boxes and graphic design in the 1950-1970 period. I will probably take them out of the package to sell them as I have not yet seen much collector interest among the vintage barware buyers.